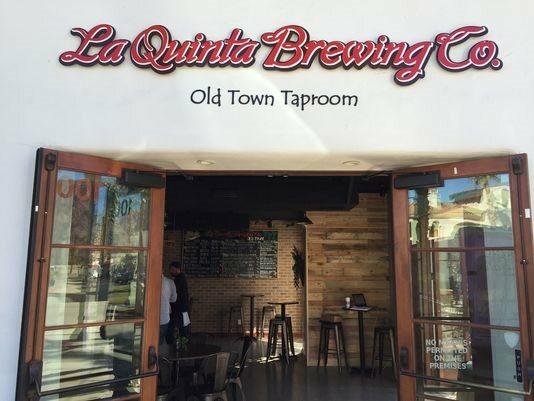 New Taproom Open in Old Town La Quinta - La Quinta Brewing Co.
It’s a BREWtiful day in the neighborhood! We are proud to announce a new location in the valley! Recently doors opened for our new Old Town La Quinta Taproom located on Main St. in Old Town La Quinta. Our new location boasts 18 beers on tap in addition to a variety of wine and cider choices. We are featuring limited release La Quinta Brewing Co. selections along with additional rotating guest handles as well. Our new location has a friendly staff, HDTV’s and a spacious patio where you can enjoy your favorite local craft beer! We do not serve food however we have partnered with neighboring restaurants where you can order take out and even have it delivered to the taproom, never having to leave your seat! Open 7 days a week. Come check out the newest way to “Taste the Sunshine”!